These yellow daffodils caught my attention when we had a picnic at the Riverside Park. Every spring they really bloom and it's so beautiful. There's a big tree near the yellow daffodils and behind the tree there are chairs and a big table. We stayed there and ate our lunch at the table. 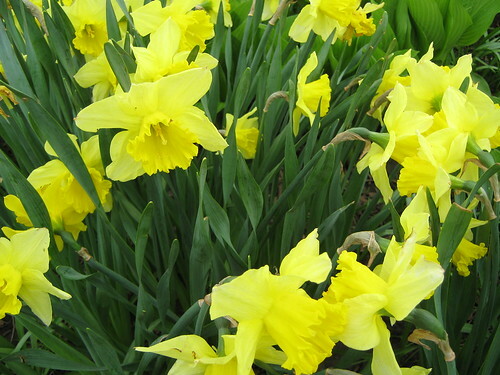 Beautiful photos of the daffodils. Ours are all faded and wilted now. Thanks for sharing and have a wonderful Monday. 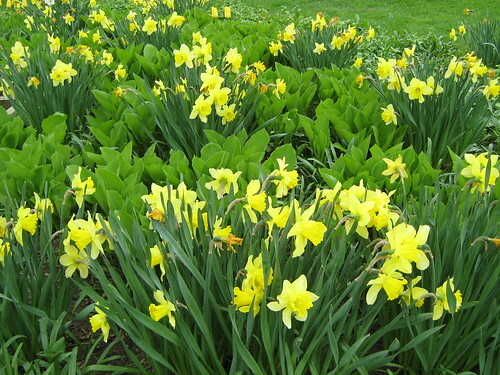 The daffodils are lovely, so cheerful and bright.